Emory Executive Education offers custom executive education programs and open enrollment short courses and certificates to elevate individual capabilities and organizational competencies. 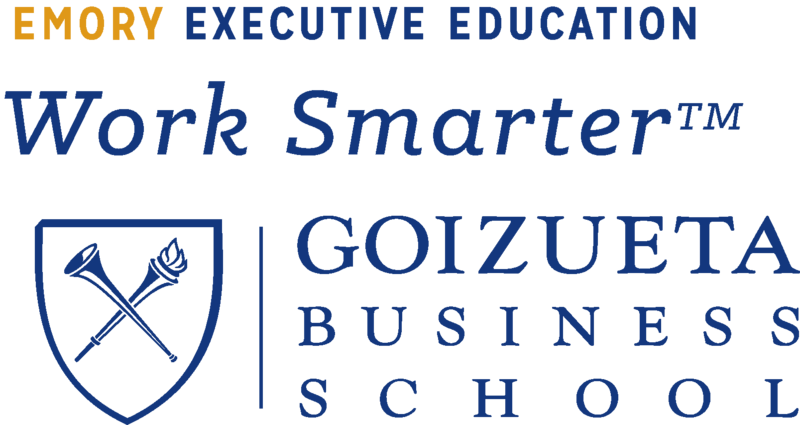 Our programs feature Goizueta Business School’s acclaimed faculty alongside our diverse network of practitioners who bring business theory and its practical application. We are globally ranked by the Financial Times as a leader in executive education, providing rich experiences designed to provide leaders with the skills they need to work smarter. Open enrollment short courses and certificate programs: Our two- and four-day open enrollment courses offer the opportunity to explore business topics, combining classroom learning and discussion with experiential learning exercises. The courses can combined to earn either the Roberto C. Goizueta Leadership Certificate or a C-Suite Certificate in a specific area. Custom executive education programs are built specifically for client organizations, incorporating activities and sessions targeted to address to the client's needs. Emory performs an in-depth needs assessment that is used to design the appropriate curriculum with content that brings business best practices to light, but in the client company's context, ensuring relevant learning to drive organizational performance.